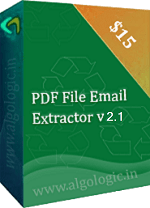 All Files Email Extractor v2.4 is a best software to extract email addresses list from Excel (.xls / .xlsx), PDF files, Word documents (.doc / .docx), PowerPoint (.ppt / .pptx), RTF, XML, TXT, MSF, EML, CSV, DBX, WebPages and other many document files from your computer in few clicks. 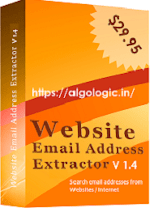 It is an email addresses extractor software works for offline files available on your computer. 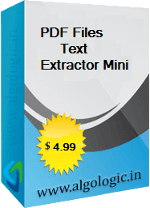 All File Email Extractor v2.4 works for all version of PDF files, Word document (.doc / .docx), Excel (.xls / .xlsx) file and Power Point (.ppt / .pptx) files. It does not required any other software to extract email addresses from PDF files. It can search all Files from given folder from your computer or by selecting files for extract email addresses. 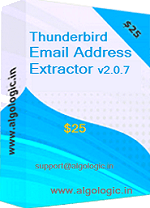 All File Email Extractor v2.4 supports features to provide you only required email addresses list and eliminates duplicate email addresses from searched email addresses list. All extracted email addresses can be saved in Excel (.xls) / .csv / .txt file. It a best and easiest software available in the market for find email addresses from files. 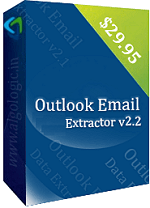 All File Email Extractor v2.4 is a best email marketing software. Free trial download available for Windows. Extract email addresses from thousand of files from your computer in few clicks. Works for all versions of PDF (.pdf) files, Word (.doc), Excel (.xls) and Power Point (.ppt) files. No other softwares requires to extract email addresses from PDF files. It removes duplicate email addresses automatically and list only required email addresses. It saves your lot of valuable time by extract email addresses from files in few clicks. It is a software to extract email addresses from thousand of .pdf files from your computer's hard-drive in few clicks. 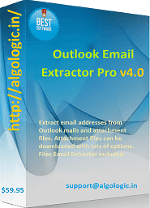 It is offline PDF files email extractor. Extracted email address can be saved in .xls / .csv / .txt files. Free trial available for Windows. 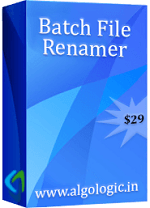 Batch File Renamer v2.4 is an useful files rename software for Windows. 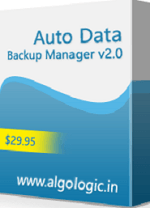 It has lots of file renaming options and can rename thousand of files in few clicks. It support Preview and Undo rename option so you can see the result before executing and can be undo files rename.